We, who know about energy, would like to see more positive language used to describe the DEMONSTRATIONS FOR PEACE. And yet, when I listen with my heart, I sense the true motives behind the world taking to the streets in support for Gaza and all the Palestinians. They are standing with their Palestinian brothers and sisters … they are being present with the suffering members of our ONE FAMILY. 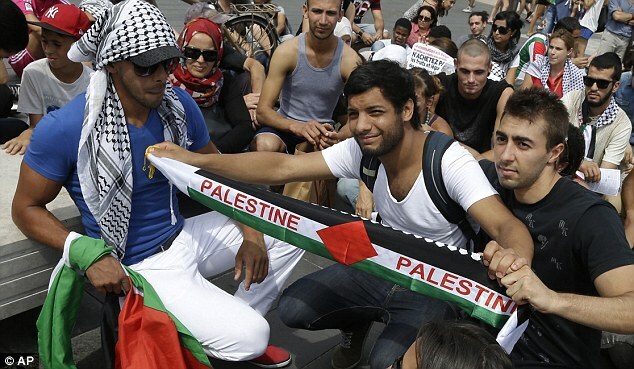 Their energetic focus is on “Stop the killing!” “Bring justice to the Palestinian people!” That’s what we all desire. The Palestinians can know that the world cares … that they are not alone. Finally, their story is known throughout this planet and this planet is standing with them–the oppressed ones. Instead of suffering alone and behind the scenes, the world now knows their plight and they will never be forgotten again. WE ARE ONE! One day in the very near future, all wars will cease because the people of our planet have demonstrated in such huge numbers … they have proclaimed to the world and our Star brothers and sisters, “We want peace and justice for all! No longer will Earth be a quarantined planet due to our proclivity toward violence. 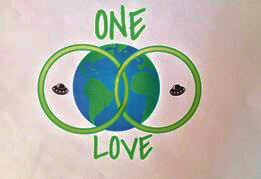 Instead, we will reunite in love and peace with each other and our Galactic Families! Often the corporate media use the term “international community” to give weight to an opinion that is really the opinion of a handful of imperialist heads of state — from the U.S., its major NATO allies and Japan. Since the Israeli assault on Gaza began, the real international community is coming out into the streets, sometimes defying police violence, to show its solidarity with Gaza and Palestine and protest. These protests and their acceptance by many others in their regions showed the growing support for the boycott, divestment and sanctions (BDS) campaign against Israel, and growing solidarity with Palestine. LET’S MAKE THE SUFFERING IN PALESTINE/ISRAEL COUNT FOR THE EMERGENCE OF PEACE! IT WILL TAKE ALL OF US WORKING TOGETHER! IT WILL TAKE ALL OF US WORKING TOGETHER! FOOD FOR SERIOUS THOUGHT – Since “all things work together for good,” could one facet of Good coming from the crisis in Israel/Palestine be that we seek the hidden wisdom within the biblical story? Think about it … the I AM THAT I AM dwells within each of us, thus there can be no Chosen People or Promised Land in the literal sense of the words. A literal interpretation of the Bible has resulted in much bloodshed. Yet, when we search for the hidden wisdom with open minds, there is much Truth hidden beneath the surface words. Is this a time in which we are to transform our acceptance of the literal concepts found within all religions into the knowledge of the hidden wisdom within these concepts? Can we all come together in unity and reach an understanding that will end all wars? I know we can, IF WE WILL! This document is a portion of my graduate work in a seminar that included a 3 week Study tour of the Middle East. Sadly, this document is not out of date … you can learn much from it that still relates to present day events. I strongly suggest studying the entire document, but if you feel pressured for time, the 4th volume is the most important and explains the metaphysical hidden wisdom behind the biblical story of the Promised Land. “The Bible tells the story of the Jews—those who in their highest aspect symbolize divine ideas or spiritual consciousness. The story is NOT A RACIAL ONE, it is the metaphysical story of all humanity attempting to maintain a spiritual consciousness and failing to do so…. IN THE BIBLE, WE ARE ALL TO BE JEWS REGARDLESS OF OUR RACE OR ETHNICITY! Filed under: Israel, Israeli-Palestinian conflict, Palestinians |	Comments Off on LET’S MAKE THE SUFFERING IN PALESTINE/ISRAEL COUNT FOR THE EMERGENCE OF PEACE! IT WILL TAKE ALL OF US WORKING TOGETHER! THE ORANGE – A SYMBOL OF LOVE IN ACTION! While the Israeli-Palestinian conflict spirals into the worst violence in years, the orange keeps popping into my mind. It is no ordinary orange, but a delicious orange harvested from an orchard near Jerusalem. 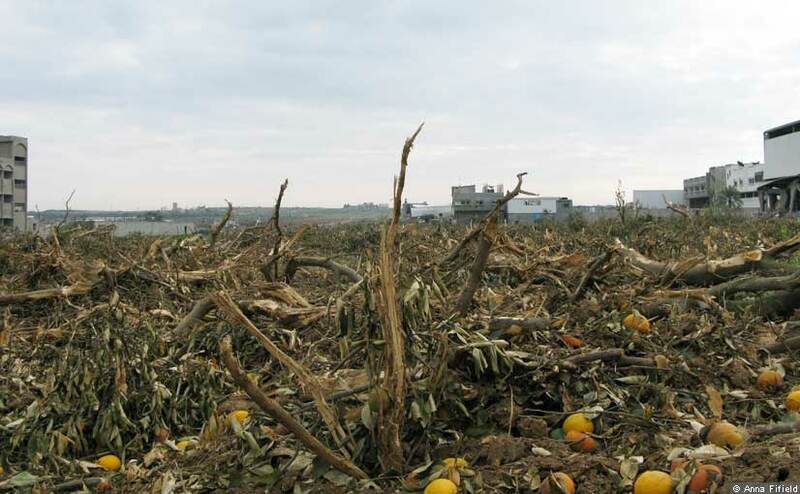 The land on which the orchard exists may or may not have once been Palestinian land—their orchards were destroyed. In 1993, I took a seminar course on the Israeli-Palestinian Conflict that included a 3 weeks tour of the Middle East. We spent two of those weeks in Israel, one week in Jewish hotels talking with the Jewish people and one week in a Palestinian hotel in East Jerusalem. 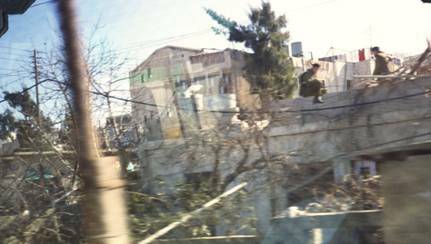 The feeling of danger in East Jerusalem was palpable. The Palestinians were required to display blue car tags; the Jews, yellow. The seminar included lectures by outstanding speakers from each group. Some of the Palestinian speakers came to our hotel in East Jerusalem. They were ill-at-ease and we soon realized they had risked their lives to speak to us. Israeli soldiers were scattered throughout the city. In fact, I experienced the jolt of suddenly having a rifle block me as I unknowingly took a forbidden turn while shopping in Old Jerusalem. While staying in the Jewish hotels, the food was fabulous—fresh and locally grown. When we moved to a Palestinian hotel, the food they provided was also fresh and delicious, but they were limited in their access. Fruit was not available. In fact, the shops along the street on which our hotel was located were boarded up due to a boycott. 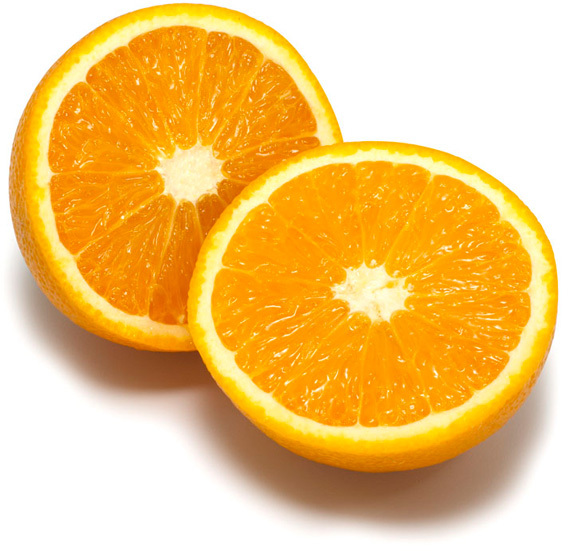 One morning I asked the waiter if he had an orange. He answered, “No, but I’ll get one for you.” I assumed he knew he could find one in the kitchen. However, he was gone too long. Finally, he returned with one orange. He had gone to West Jerusalem to purchase an orange for me. He would accept no money for the orange or running the errand. He simply smiled. I’ll never forget that orange! To me, it represented an act of selfless love. 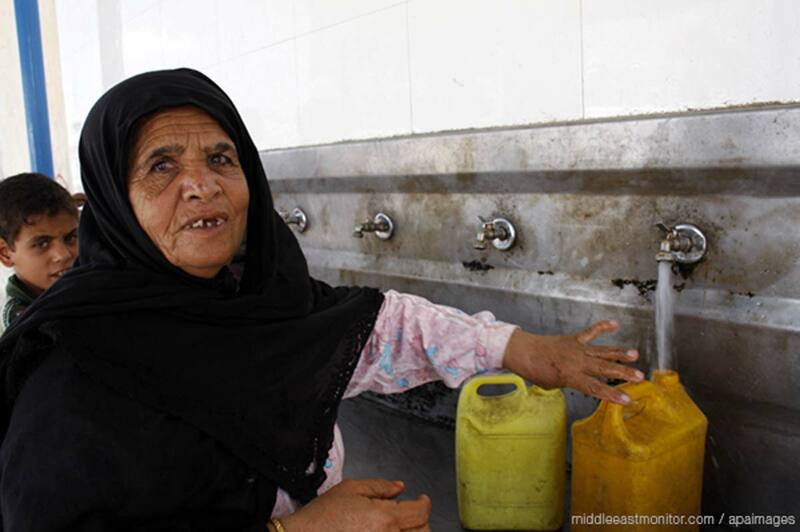 “The occupation, with US military and financial support, is the root cause. And it systematically denies the very humanity of Arabs, while valuing Jewish lives at the expense of others. My Palestinian waiter friend knew I am American. Instead of treating me like an enemy, he journeyed through dangerous territory just to bring me an orange! 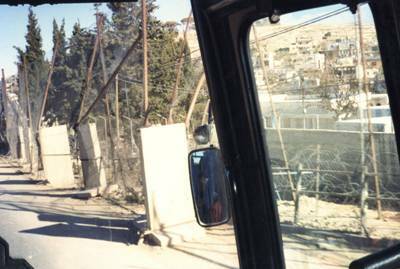 Palestinian neighborhoods on the West Bank are encircled with bobbed wire fences. Without the barricades, Palestinians could exit from their neighborhood via several streets. Instead, the Israeli army had all but one exit sealed off. The Palestinians have to start to work around 4:30 AM to allow for hours of sitting in line waiting for approximately 6,000 people to exit their neighborhood via the one open street. Sadly, the Pictorial Commentary is not outdated. 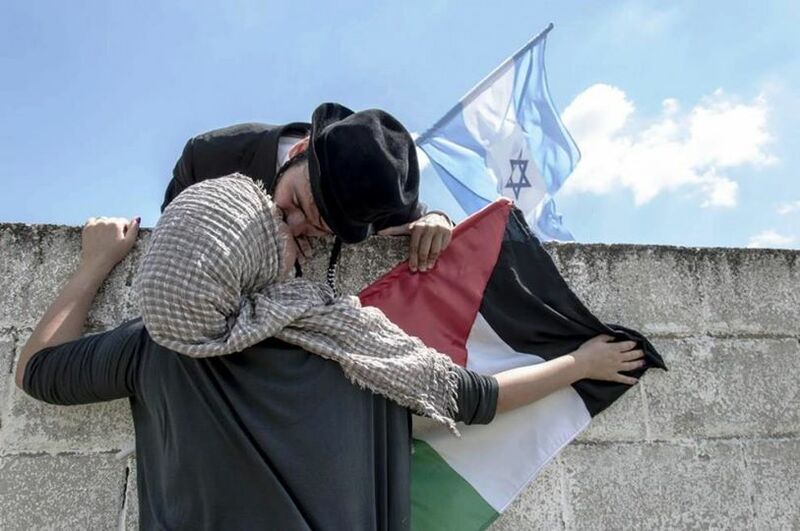 Filed under: Israeli-Palestinian conflict, Palestinians |	Comments Off on THE ORANGE – A SYMBOL OF LOVE IN ACTION! WAKE UP, AMERICANS, CHRISTIAN & JEW ALIKE CONTRIBUTE TO THIS MISERY WITH OUR TAX DOLLARS! CONTRIBUTE TO THIS MISERY WITH OUR TAX DOLLARS! Israeli Jews and Palestinians are caught in a frightening, often violent scenario that given a choice, I believe could be solved by the people themselves with love. Sadly, decades ago, both groups became pawns in the hands of those powerful elites who wanted only to control that part of the world. American Christians and Jews have been taught the Old Testament story of the Promised Land. To believe this story literally is one more example of how skewed our concept of God is. God’s children demonstrate much more love than the God of religion we are taught. The true story below took place in the early 1990s, but remains heartbreakingly relevant in 2014. 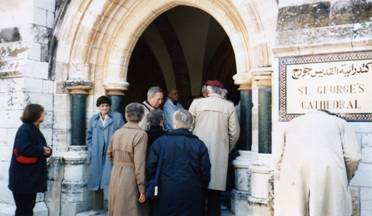 In January 1993, our seminary tour group arrived in Jerusalem. We spent one week in a Jewish hotel, one week in a Palestinian hotel. We listened to the stories of each side. When we returned to the U.S., I attempted to share our experiences with Christians. I found the situation such a hot potato that I dropped it. However, I have never forgotten my promise to Mrs. Habiby, a Palestinian Christian, that I would do whatever I could to shed light on this complicated situation. Every time the news reveals mistreatment as the above article does, I remember my promise. When one human being is deprived, we all are because–in truth–WE ARE ONE. Those of you who knit know that not one stitch can be dropped without the entire garment eventually unraveling. Likewise, not one Part of the Whole Family of God can be mistreated without the Whole Family being impacted. We cannot have World Peace while one planetary inhabitant is being violated. One of the most memorable experiences of our visit among Christian Palestinians was a Sunday morning worship service at St. George’s Cathedral. Canon Ateek preached his sermon twice—once in Arabic and once in English. We were astounded that Palestinian Christians sat through both sermons … we wondered what Americans would have done had Palestinians been visiting us in the states. The most inspiring moment was when we prayed the Lord’s Prayer in unison—some speaking English, most speaking Arabic. For those few moments, all barriers fell away … we were One. 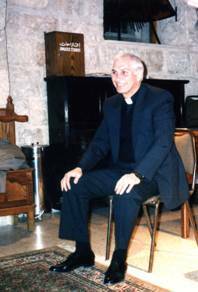 Canon Ateek is the author of several books, the most recent one being A Palestinian Christian Cry for Reconciliation. Others are: Justice, And Only Justice: A Palestinian Theology of Liberation, Holy Land, Hollow Jubilee: God, Justice, & the Palestinians, and Faith & the Intifada: Palestinian Christian Voices. Following the worship service, we met with Canon Ateek in the educational building to be assigned in small groups to visit the homes of Palestinian Christians. That afternoon we visited our assigned homes and listened to the individual stories of Palestinian Christians. They told of seized homes, bank accounts, and lands. They shared their stories in the hopes that we would return to the states and give Palestinians a voice in the political and religious arenas. As we listened to their stories, we were struck by their honesty and their sincere desire to have us not react with anger at the Palestinian plight, but to respond with positive efforts to bring about a peaceful solution. 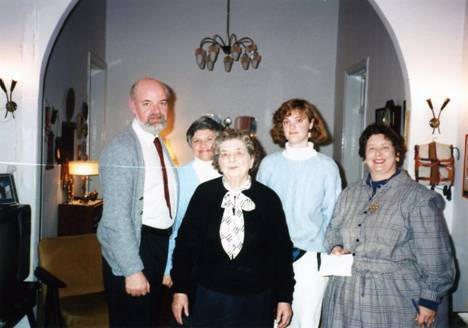 My 1993 seminary group visiting in the Jerusalem home of Mrs. Habiby. An American Jewish friend wrote several years ago: “It is the tribalism in the Bible that convinces me that the text is the work of humanity. I don’t believe that God would have written a story that justifies such cruelty, arrogance, and xenophobia. That said, I sense much of the same divinity in the Bible as I sense in Great Expectations and The Life of Pi, and the poetry of T.S. Eliot, and the paintings of Casper David Friedrich. I just think the Bible is no more authoritative or divine than other great works that call us to compassion and courage. It is this very fact—the fact that the divinity of the human striving for God is so evident in the Bible despite the text’s wildly contradictory world views—that convinces me of the existence of a loving and compassionate God. It’s just like the ordinary world which sparkles with a sacredness everywhere you turn, just begging us to join in the sparkling and let the darkness die away. But that doesn’t make religion bad. When religion is used to speak coherently to a group that has chosen to cling to each other because of their common mode of understanding or common history, that’s not necessarily bad. Not everyone can get the message the same way. God made us all different. However, when religion is used to gather power and resources for one group at the expense of another, that is the danger: anyone can be tempted to believe the thing that gives them and those they love an advantage regardless of the cost to anyone else. It’s too hard to resist. These questions are questions all of us need to ask. How can God be partial to a particular race or ethnic group? How can God sanction the seizure of property, the destruction of cities, and the killing of every man, woman, and child—as is depicted in the Old Testament and as an example that humankind follows to this day? The unequivocal answer is: GOD IS NOT PARTIAL. The only reason we could even ask the question is that we do not know the Truth—WE ARE ALL ONE WITH GOD. There dwells within each human being a divine spark—the I AM PRESENCE. Filed under: Israel, Palestinians |	Comments Off on WAKE UP, AMERICANS, CHRISTIAN & JEW ALIKE CONTRIBUTE TO THIS MISERY WITH OUR TAX DOLLARS! My story is no different from that of many other Palestinian young people who were born and have lived their whole lives under Israeli occupation. At 17, I was arrested for the first time, and jailed for two years. I was arrested again in my early 20s, at the height of the second intifada in Ramallah, during an Israeli invasion of numerous cities in the West Bank – what Israel called Operation Defensive Shield. 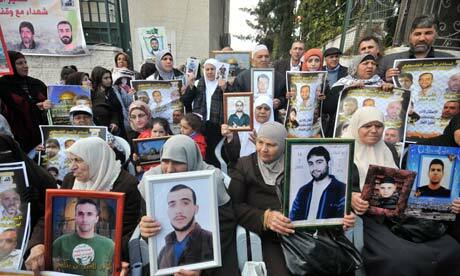 I was sentenced to 30 years in prison on charges relating to my resistance to the occupation. After almost 10 years in prison, I was released in the Egypt-sponsored deal between Israel and Hamas to release the Israeli soldier Gilad Shalit in exchange for Palestinian prisoners. However, on 7 July 2012, I was arrested again near Hizma, an area within the municipality of Jerusalem, on charges of violating the terms of my release (that I should not leave Jerusalem). Others who were released as part of that deal were also arrested, some with no declared reason. Accordingly, I began a hunger strike on 1 August to protest against my illegal imprisonment and Israel’s violation of the agreement. My health has deteriorated greatly, but I will continue my hunger strike until victory or martyrdom. This is my last remaining stone to throw at the tyrants and jailers in the face of the racist occupation that humiliates our people. I draw my strength from all the free people in the world who want an end to the Israeli occupation. My weak heartbeat endures thanks to this solidarity and support; my weak voice gains its strength from voices that are louder, and can penetrate the prison walls. My battle is not just for my own freedom. My fellow hunger strikers, Ayman, Tarik and Ja’afar, and I are fighting a battle for all Palestinians against the Israeli occupation and its prisons. What I endure is little compared to the sacrifice of Palestinians in Gaza, where thousands have died or been injured as a result of brutal Israeli attacks and an unprecedented and inhuman siege. However, more support is needed. Israel could not continue its oppression without the support of western governments. These governments, particularly the British, which has a historic responsibility for the tragedy of my people, should impose sanctions on the Israeli regime until it ends the occupation, recognises Palestinian rights, and frees all Palestinian political prisoners. Do not worry if my heart stops. I am still alive now and even after death, because Jerusalem runs through my veins. If I die, it is a victory; if we are liberated, it is a victory, because either way I have refused to surrender to the Israeli occupation, its tyranny and arrogance. Samer Issawi was convicted in 2002 of being a member of the Democratic Front for the Liberation of Palestine, a group proscribed by Israel, and of shooting at Israeli vehicles. He is now on the 216th day of hunger strike.